Today marks my third year as Sapone Di Paolo. To celebrate, I thought we’d say ARRIVEDERCI!!! I was working on the next iteration of things and I’d come to the difficult realization that I DON’T SPEAK ITALIAN. I have the Italian barber grandfather, I have the Italian name. I don’t have the language. Therefore, how can I expect any other non-speakers to decipher Italian? That led me to decide to revamp EVERYTHING. I started with the aftershave balm. Wasn’t happy with it’s consistency. Loved the oils in it. New recipe with added Aloe, Allantoin and Chamomile extract and I am now beyond pleased! Next, I wanted to answer all of my most asked requests. Number one by a big margin was tallow soap. New base has Tallow, Castor, Mango and Shea. Also incorporated are the Apricot and Grapeseed oils from the balm as well as Allantoin for an exceptional post shave feel. The other big request is for an alcohol splash. I played around with several iterations, and settled on a very straightforward recipe. Alcohol, Water, Sodium Lactate, Allantoin. Simple and effective. Lastly, I had to come up with a new name. After much deliberation, I decided to now go by the name ELEVEN. It is simply a reference to my hometown of Dubuque, Iowa. 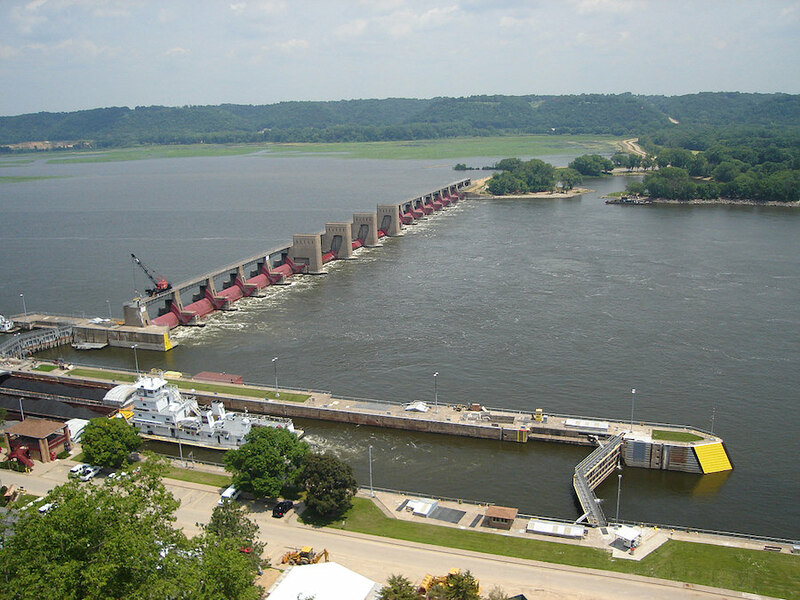 The upper Mississippi river has a series of locks and dams. Starting at Minneapolis (#1) down to St. Louis (#27). I grew up at... ELEVEN! All of these changes will take place soon. I’ll be giving out the first samples at the Top Of The Chain meet up on May 5. The “official” debut will coincide with the Maggard meet up on June 2. This is exciting news! Looking forward to these new products! Adding a tallow soap is excellent news. Paolo, although there isn't much wrong with your current formulations, trying to improve on them is admirable. I always thought that your balm was the best in the business, and I'm eager to try your new one, as well as your tallow soaps. I wish you the best with your new products, my friend. Best of success! You are already a top shelf artisan, so this is exciting!!! Great new name also!!! Wow, your SdP products were great before, but this turns it up to Eleven! Those changes were everything I would have asked for. Credit card primed and ready! *Edit: Will there be a new website too? Or are you keeping the SdP name? Very nice news although I absolutely love your current soaps and balms. Will LOVE to try the Agrume scented aftershave! (04-15-2018, 11:51 AM)Mr_Smartepants Wrote: Wow, your SdP products were great before, but this turns it up to Eleven! Thank you! New website is coming. Basically, SdP is closing, Eleven is opening. ...and very happy the Spinal Tap reference isn't wasted here!! When does the sale on SDP products begin or will you keep the current items as well????? (04-15-2018, 05:11 PM)FloridaCreekIndian Wrote: When does the sale on SDP products begin or will you keep the current items as well????? VERY soon! ...and a fairly healthy one at that! Definitely in for Bosco soap/balm/splash! Looking forward to the release Paolo! I'll stick to the non tallow base. New soap, balm, and aftershave are all fantastic. I only updated the Lime and Basil for the time being but will probably be ordering the aftershave to match a couple of older soaps I have. FYI, the link on your signature has coma instead if a point after www.